I help people whose parents were donors reunite with family for free. 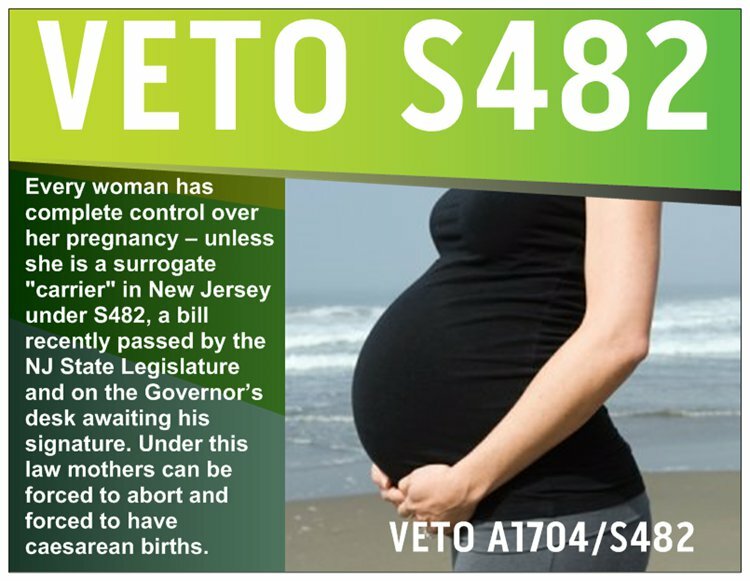 The problem with these laws even what your promoting will still give a person a medically inaccurate birth record if they were by some miracle to ‘unseal it because the women giving birth are typically not the mothers of the people they give birth to. Why bother recording anyone’s names at all if we are going to allow those records to falsely name unrelated individuals as parents? When we exempt egg and sperm donors from parental responsibility it results in their offspring not having equal rights to everyone else. We need to stop exempting them and if that stops sperm and egg donation – so what? We would only be asking them to observe the same rules as everyone else. Egg donors and sperm donors typically have 25 to 200 offspring to make it profitable to an agency to promote them. That is a health hazard not just to their offspring, but to themselves and all their relatives who have no idea how to avoid dating and reproducing with their own children, nieces, nephews, cousins, siblings, etc. The government gives people access to their relatives vital records so that they can have information they need to be as healthy as possible. When the wrong people are named as parents people can’t know that they have a sibling, cousin, nephew etc. People are always going to lie, the government can’t do anything about that but it can give access to vital records that are supposed to be medically accurate. Allowing for falsification rather than punishing it is beyond absurd. We need a federal law that says a person cannot be named parent on a birth record unless the person named on the birth record is their proven offspring. All other situations similar to parenthood should be documented separately off vital health records. Thank you, Marilynn Huff, for your comment. A federal law would be the best. Other countries have banned gamete donation and surrogacy, and adoption. The United States, and many other countries, prefer to make money selling and buying human eggs, sperm, renting wombs, and buying and selling children. It’s more than absurd. The ones to pay the price are the people who are the products, and their future generations. Doris – thank you so much for this article – adoptee activists are slowly becoming aware of how surrogacy interacts with adoption – how surrogacy is an extension of adoption ideology and intentionally creates chlldren to distress them by removal them from their mothers – and now the child you can adopt can be miraculously related to you via DNA!!! There is an abolitionist movement against surrogacy calling for a Convention for the Abolition of Surrogacy. Both adoption and surrogacy are part of the same child procurement ideology that is becoming pervasive in wealthier societies… It is important as anti-adoption activists that we do not forget our surro-people comrades and that we fight for their rights: to remain with their gestational mothers, to have biologically accurate birth certificates, to retain their identities, to stop the commodition of babies. For those of us who have been victims and survivors of adoption’s perversion, the link between adoption and reproductive technologies is painfully obvious. For the general public, it seems that the advantage of making a baby via anonymous sperm and egg donation, embryo transfers, gestational surrogacy and maternal-egg-gestational surrogacy is a means for the rich to create babies. They can pick an egg donor mother, a sperm donor father, and a surrogate mother from websites and infertility clinics that obtain donor gametes and rented wombs from women and men around the world. The end result is a baby to love. The donors are paid and that makes this gamete selling, ultimately selling, and buying pre-born infants. The unthinkable (to you and to me) that poor women in third world countries are hired to rent their wombs to gestate these infants to term, and then give birth. High-priced surrogacy companies in wealthy areas and women who altruistically lend their wombs to carry to term their sister’s baby, or their neighbor’s baby, are mindlessly participating in a fad. It doesn’t matter if the latter two scenarios result in a baby that is handed over to the gestational mother’s sister or to the neighbor, or, a grandmother carrying to term her daughter’s biological child. What matters is much deeper. The infant created by artificial means and gestated by a non-genetic mother/host is clearly the victim here. The intended parents – the contractual parents – get the baby in the end. Like adoption, the intended parents of the child created and born via contract, are lobbying to pass into law a bill that would automatically put their names on the child’s birth certificate – before an adoption can even revoke the medical record of live birth and replace it with an amended birth certificate created upon adoption. Is it me? Or are these “intended parents” living in non-reality? This bill would put the intended parents’ names on the infant’s birth certificate. There is no logic behind this intentional falsehood. In an age where adoptees and our missing mothers are turning to DNA ancestry websites to find each other via undeniable and factual DNA matching, people are denying the absolute truth of the importance of genetic relatedness. The instinct to procreate, to live the experience of parenting a child who magically becomes “my own” somehow is stronger in some people who are oblivious of the consequences of their actions on the person they create and then adopt. These people are so intent on having a baby “of their own” that they are living in fantasyland. They are delusional. They are forcing their values, their wants, onto a child who will bear the burden for the rest of their lives. You may not know this, but I’ve been writing and publishing letters to the editor and other articles against anonymous sperm and egg donation, and against embryo transfers (not adoption because embryos are property not children and cannot be adopted until after birth), and against surrogacy for over 30 years. I spoke on the phone several times with Mary Beth Whitehead, the surrogate mother of Baby M, in 1986 and 1987. I had the opportunity to meet her lawyer, Harold Cassidy, at an adoption reform conference. Back then, anti-adoption activists thought we could be helpful to put an end to this. We have been trying, but the people with the money and power seem to be winning. We won’t know the outcome in our lifetimes. Our children’s children and the children of these donor-conceived and surrogate-born children will pick up the pieces of their lives and put a stop to this.